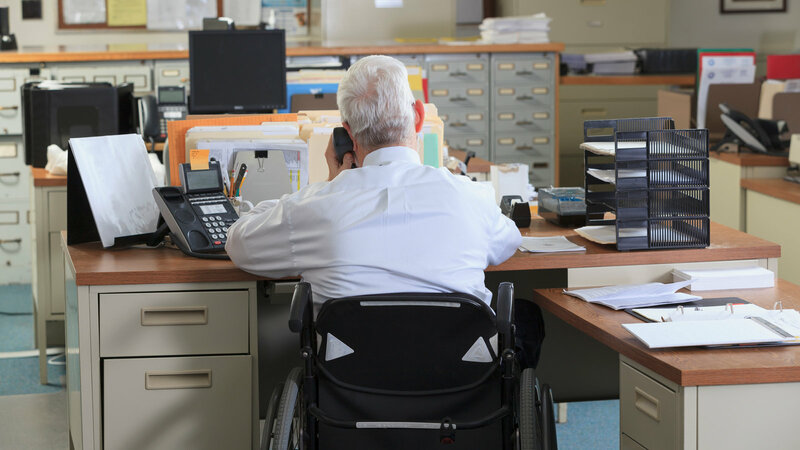 CIDNY offers a variety of workshops on subjects from getting organized to understanding your rights under the Americans with Disabilities Act. To see a full list of upcoming events, check out the CIDNY calendar. You can also see past workshop and materials in our online library. "But the long saga to make the stop along the No. 6 line fully accessible under the Americans With Disabilities Act (ADA) has dragged on because of Upper East Side opposition — and costs for the project have nearly doubled to more than $116 million, THE CITY has learned." The tab for the access project at the 68th St.-Hunter College station has risen to more than $116 million over a decade of delay-inducing opposition. It’s so disgusting that ppl oppose accessibility!! It’s the law ffs!! would maybe a ramp be cheaper? So ridiculous! You live in the city and you don't want a subway station on your street? Move to Long Island! Money is an excuse to justify bigotry. The rich people have zero tolerance for the handicapped like your orange turd in the WH! We saw this documentary at an Open Society Foundation event last week. Right to Fail, available to stream online, raises thoughtful questions about what it means to advance the rights of people with disabilities—including the right to make the most basic choices in our own lives. 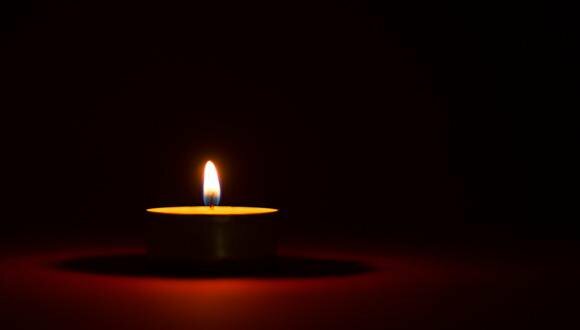 Deepest Condolences to the Wolff family friends and loved ones. I am so sorry to hear. My condolences. I remember Paula’s service for so many years. Condolences to you and everyone in her life. Condolences to her friends, family, and loved ones. Very sad. I will always remember that she helped Disabled In Action of Metropolitan New York have meetings at Selis Manor. She showed the "ABLE" in DisAble. You won't be forgotten. We will never forget you, Paula. The coverage focuses on the sensationalist features of the killings with the expectations it will improve readership or ratings!!! Center for Independence of the Disabled New York is feeling angry. No compassion for the disabled or elderly.from day one he showed his evil side. People need to stand up and protest for there rights only fair. And never mind that his som JUST might have a disability. Are you kidding and listening? God help us! Not only is this horrible for the disabled, it'll put tens of thousands of people out of work! Fool! Want to stay in touch in and get our newsletter, action alerts, and other emails? Sign up here. Interesting article with some possible community-based solutions like a 911 diversion program and a 24 hour mobile crisis unit to help people in crisis. "In the past nine months, New York has seen seven incidents of emergency calls involving people in emotional crisis resulting in their being shot dead by the police. But this is not just a New York problem. It is a national epidemic." 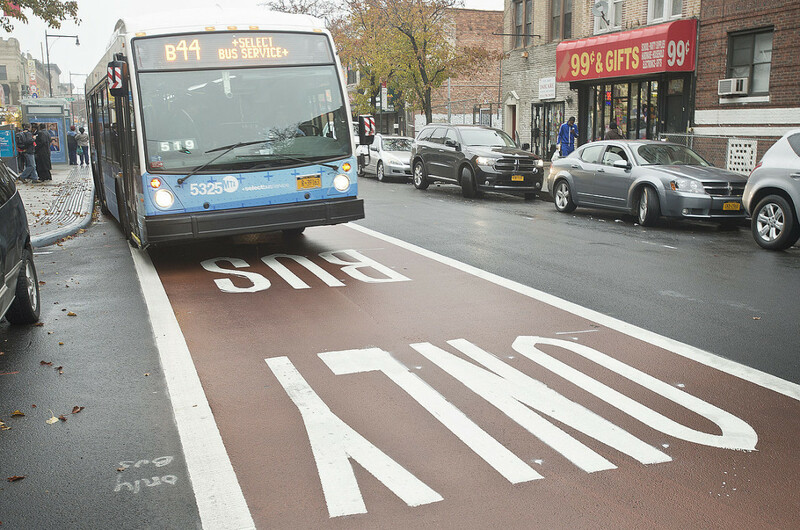 We've been advocating for Access-A-Ride to use bus lanes to speed up service. Check out our organizer Shain's comments in this article as well as our coalition peers from AARRG. Access-a-Ride is paratransit service and should properly be able to use the same bus lanes as buses that non-disabled persons use. This shouldn't even be a question! AAR is aloud to leave people stranded and then have the nerve to say it was the customers fault. I waited for my ride 2 vans passed and neither stopped. Lucky for me one of my co-worker was with me as proof that I was in the correct spot. After no stopping they wanted me to wait an additional hour plus for another vehicle. Mind you I am under 25 minutes away from the destination they stranded me at.Since Staten Island is a nightmare for pedestrians I was forced to take my life in my own hands. They want to increase the fare. They should reduce it for the horrible way they conduct business and the awful way they speak to the customers. I think they need to fire everyone at AAR and hire people with disabilities to do the job. I am confident that we would do a better job since we have more invested in this service then the A holes that work their now. Whatever needs to be done to improve Access A Ride currently, it needs to be done. The E-Hail services are like being in "The Hunger Games" to request a trip. They can’t?! I never knew that. No wonder their service is so poor and undependable. When I lived in NYC I was still working, and even though I was eligible to use Access a ride and had a pass, I never would, even when I really needed it, because I never knew if I could depend upon being at my destination on time! That is true, another big contribution to the community. “The promise of these new technologies is very much shaped by power." Lawrence Schwartz, an MTA board member and close ally of Gov. Cuomo, says that Access-A-Ride isn't part of the MTA's "core mission" even though it's federally mandated and been in the MTA's hands for nearly three decades. Whose core mission is it, then?